The story starts with a teenage girl who has apparently run away from home. She gets to choose between a couple of sleazy Latino men and a mysterious religious cult. She chooses the cult, but it may not have been the safe choice. Six months later, the main story starts up. The protagonists are a mixed-race Breakfast Club, with the nerd as a black guy and the goth chick as East Asian. There is even a purple-haired weirdo girl who is name-checked as a Social Justice Warrior. The kids have a backstory. They had a seventh friend who apparently died a couple of years ago, and they do not hang out any more because they are still grieving. Can the black nerd arrange a reunion? It turns out that the kids are just developing their latent superpowers. If that sounds familiar, this is a Marvel show just like The Gifted , which has a similar theme. The kids were all friends because their parents were friends. And now the parents meet up to conduct a secret ceremony. One thing leads to another, and the kids catch a glimpse of the ceremony. This is the Season's inciting incident: the discovery of their parents' dark secret. This episode was directed by Roxann Dawson , who seems to be the most prolific director to have emerged from the cast of the various Star Trek TV shows. It tells the events of the previous episode, but from the perspective of the parents. We also get to discover thir villainous backgrounds. The property developer is a former street-gang leader who has gone straight. The East Asian-American woman has an A.I. controlling her house ... and she has a staff that gives her magic powers. And she has a high-ranking contact in the local police department. The hippy (Kevin Weisman - Alias ) and his wife ( Brigid Brannagh ) have a genetically-engineered predator in their basement. Victor Stein (James Marsters - Buffy the Vampire Slayer ) is a mad scientist. The Cult leader ( Annie Wersching ) is ... a Cult leader. She is keeping an old man (her father?) alive by scientific and possibly magical means. The kids try to find out what happened to the missing girl. This involves a lot of poking around in their parents' basements to find clues. The parents try to sort out their private lives. Unfortunately the stress has caused two of the spouses to find comfort together. The parents need a new victim for human sacrifice. Victor Stein (James Marsters - Buffy the Vampire Slayer ) is sent looking for a homeless person. Meanwhile, the children have some High School issues to deal with. The Jock still holds a grudge against his LaCrosse team-mates. Their behaviour threatened the most valuable thing in the world, a young white woman's virtue, and he finds this completely unforgiveable. The hippy (Kevin Weisman - Alias ) and his wife ( Brigid Brannagh ) go looking for the genetically-engineered predator that escaped from their basement. It is part of their back-up plan, to get out before they end up the same way as their adopted daughter's biological parents. The black kid has been abducted. It turns out that his father has some unfinished business in the 'hood. This is a follow-up to the subplot that was last seen in episode 2. The flashbacks start with Jonah (Julian McMahon - Hunters ) recruiting the Pride. Their wealth and power is gifted from him. 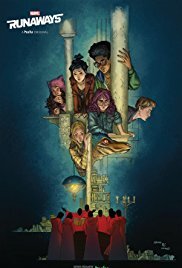 The teenagers get together to rescue their friend. It is just the girls - the boy is off bonding with his father, the distant patriarch Victor Stein (James Marsters - Buffy the Vampire Slayer ). The parents start to bond with their children. Perhaps if they had done this a few years ago, they might not have the problems they have now. The families all go to the big launch gala event at the Wizard Corp HQ. The parents all go as couples, while the kids go as a single group. Well, it is more environmentally friendly to share a limousine - and the driver is Stan Lee in his inevitable cameo. Victor Stein (James Marsters - Buffy the Vampire Slayer ) decides to reveal his wife's dirty secret to the whole room. Well, he has a brain tumour so he thinks he has nothing to lose. Luckily, Jonah (Julian McMahon - Hunters ) has invited himself and has a cure for cancer. It is a serum that comes from the blood of a person with an unusual immune system. This is possibly a reference to a sample taken from Wolverine in a prequel movie. The kids plan is to steal video footage from the Wizard Corp server. If they reveal the CCTV footage from the surveillance cameras in their parents homes, the world will know that they are supervillains. Yes, the Pride failed to learn from the mistakes of Ruichard Nixon in the 1970s. The kids are still waiting for the password cracker software to access the CCTV footage. To spend the time, they attend their school's Open House event. Victor Stein (James Marsters - Buffy the Vampire Slayer ) recovers from his brain tumour, and actually becomes a good father and husband. This may be what it takes to keep his family together, which is essential to the survival of the Pride. The Cult leader ( Annie Wersching ) is having problems with her own marriage. Jonah (Julian McMahon - Hunters ) has given her trophy husband a superpower. But now the husband is recovering his memory, and becomes suspicious of Jonah and his wife. The Runaways are about to get broken up. The Latina girl is being sent off to her mother's cousin in Mexico. The East Asian-American girl is angry at the African-American boy because he used to be friends with her sister, before she died of a supposed suicide. Victor Stein (James Marsters - Buffy the Vampire Slayer ) is dying. Jonah (Julian McMahon - Hunters ) has a plan to save him. However, this requires another human sacrifice. Rather than go find an outsider, the Pride start to turn on each other. There is a secret stash hidden in a locker in a bus station. Since lockers were removed long before 9/11, this must be a time warp back to the 1980s. And the stashed item is a videotape - something the young kids might not even recognise. The story starts ten years ago. The latino couple were so poor, they had to use a dot-matrix printer. They had their suspicions about Jonah (Julian McMahon - Hunters ), but were taken out in the inevitable explosion. The kids get back together, and put aside their petty differences long enough to agree a name for their group - The Runaways. They get exposition from the VHS tape. Jonah wants to drill for something at the construction site in South Central LA. The kids buy tickets to the School social party from the Mean Girl, Eiffel ( Danielle Campbell ). Their plan is to use it as cover for their actual activities. They also use it to work out their unspoken sexual tension. Finally the kids get to the construction site. Their plan to expose their parents with a blackmail video is a no-go, so they opt for violent direct action at the drill site. This leads to the inevitable confrontation. The kids go on the run for real. They hang out in Griffith Park, where they can scrounge from real homeless people. Unfortunately the velociraptor is too conspicuous, so they have to release it into the wild. The parents get a better idea of what is really going on. Yes, they may be supervillains but they never realised that Jonah had an evil master-plan. The kids had a bag full of money. However, they let themselves get mugged by someone they call Mike on the Bike. Worse, the bag also contains the energy gloves. Meanwhile, the parents use everything at their disposal to find their kids. They have their children reported missing, and accuse them of kidnapping the underage child. Unfortunately the problem with teenage superheroes is that there are always lots of cosplayers. Without money, the kids have to go to a soup kitchen. Ironically it is run by their parents' foundation. What a sad state of affairs that society depends on the charity of supervillains! Jonah (Julian McMahon - Hunters ) has been keeping Victor Stein (James Marsters - Buffy the Vampire Slayer ) alive. Not for altruistic reasons, but because Jonah needs to recharge and Victor is the only one who can build it. Nico Minoru ( Lyrica Okano ) and Karolina Dean ( Virginia Gardner ) were set up as love interests for the two boys. Now the girls have paired up together, so the boys must find love interests elsewhere. The black boy pairs up with his new patron's daughter, while the white boy is trapped with the purple-haired SJW. The kids go on the offensive. Nico takes the girls to her parents' house, so she can steal her mother's magical staff. The kids have their new lair wired up for electricity, so they get organised and start practising with their new powers every morning. This is not good enough for the Latina girl, who embraces the racial stereotype of Michelle Rodriguez . She sneaks out every night to patrol a nearby crappy neighbourhood, in the hope of picking fights with poor people. Naturally she gets what she wants, but this also means revealing her presence to strangers. The black nerd, another stereotype, hangs out with his father's former friend. This Boys-In-The-Hood situation is the Roots that the young man craves, and which he feels his father denied him by selling out and becoming successful. Of course, the youngster would never have met his friends the Runaways. Also, his father just wants to protect him from the coming war. The Pride are unhappy about being used by Jonah (Julian McMahon - Hunters ), and intend to thrown off the yoke he has put on them. Victor Stein (James Marsters - Buffy the Vampire Slayer ) is still trapped in the Matrix while his body renegerates. His wife gets Jonah to let her into the simulation, so she can fill her extranged husband in on the plan. But will she double-cross him? The kids have a gatecrasher - another super-powered teen named Topher. They do not know if they can trust him, but he has the same powers as Molly so he might be related to her. The kids need a computer so they can hack into the Pride system. The best one they can think of is in their old school, Atlas Academy. Presumably it was named as a reference to the Ayn Rand book. The blonde boy must sell himself to the Mean Girl, Eiffel ( Danielle Campbell ) to get her help. Jonah (Julian McMahon - Hunters ) is dying because his powers are depleted. He wants to bond with his daughter, in case he does not survive. The Pride are against him now, because they know he is up to no good. California has been hit with earth tremors, and the epicentre is directly under the drill site. Their obvious answer is to kill Jonah and whatever he is keeping at the bottom of the pit. The kids still do not know what to do about Topher. He has nowhere else to go, because he was thrown out of his home by his parents. This is a metaphor for homophobia, although the situation turns out to be a bit more complicated. Later they discover he embellished his statements, although he is still the victim of circumstances beyond his control. Jonah (Julian McMahon - Hunters ) wants Victor Stein (James Marsters - Buffy the Vampire Slayer ) and the others to make another sacrifice to restore him to health. However, they have realised that Jonah's super-tech is causing the earth tremors. They can use it to destroy him, before he destroys California. Also, we discover his origin ... although since this is adapted from a Marvel comic, it is not entirely a surprise. One of Pride goes after Jonah (Julian McMahon - Hunters ) and tries to kill him. Yes, they actually have weapons that can hurt him. However, it is a sloppy and amateurish attack. Jonah (Julian McMahon - Hunters ) insists everyone meet up at the dig site to help his starship take off. He claims that the alien super hi-tech will not damage the Earth's crust. Everyone else realises that he does not give a damn about the human race, and would happily cause an earthquake that would destroy California as long as he got what he wanted out of it. This leads up to a climactic battle. The episode starts with the backstory of Jonah (Julian McMahon - Hunters ). He was a Doctor in 1956, originally based in Melbourne (Australia) but working in the USA. He got a patient with a mysterious illness. Yes, it turns out that the alien presence is a parasite that jumps from body to body. When the meat suit dies, the alien just jumps to a new victim. With Jonah out of the way, Pride is about to disband. This is bad move for Flores, the corrupt cop who makes good money cleaning up their messes. The Runaways do not care that Jonah is gone. All they care about is taking down their parents. The black nerd blames his dad for the gangster's death, and helps the gangster's family to get their revenge. The nerd wants to hook up with the dead gangster's hot daughter. He tries to help her clear her father's name. Of course, this will mean having to send his own mother to prison but he really does not care about anyone except himself. Pride still uses Detective Flores to cover up their mistakes. He has a sidekick nicknamed AWOL to do the violent stuff for him. Unfortunately AWOL starts to think for himself, and tries to make deals with some of the players. The dinosaur and the purple-haired SJW are both ill. This is not the kind of thing a normal doctor can deal with. Worse, the kids get trapped. AWOL and his crew of corrupt cops besiege the kids' secret hide-out. Luckily the kids have taken a few rudimentary security precautions. But the bad guys have body armour and automatic weapons. Victor starts acting out of character. He is actually a caring and attentive husband for a change. An hour later he is his usual abrasive self, with no memory of what happened. And he is not the only member of Pride acting strangely.